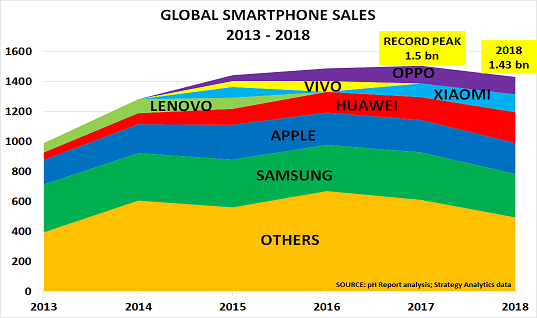 Last November, I wrote one of my “most-read posts”, titled Global smartphone recession confirms consumer downturn. The only strange thing was that most people read it several weeks later on 3 January, after Apple announced its China sales had fallen due to the economic downturn. The same phenomenon had occurred before the 2008 Crisis, of course, as described in The Crystal Blog. I wrote regularly here, in the Financial Times and elsewhere about the near-certainty that we were heading for a major financial crisis. Yet very few people took any notice. And even after the crash, the consensus chose to ignore the demographic explanation for it that John Richardson and I gave in ‘Boom, Gloom and the New Normal: How the Western BabyBoomers are Changing Demand Patterns, Again’. And this time the financial outlook is potentially worse than in 2008. The tide of global debt built up since 2008 means that the “World faces wave of epic debt defaults” according to the only central banker to forecast the Crisis. 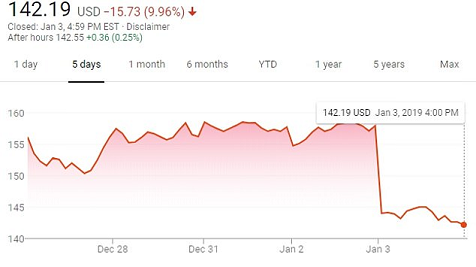 So why did Apple shares suddenly crash 10% on 3 January, as the chart shows? Everything that Apple reported was already known. After all, when I wrote in November, I was using published data from Strategy Analytics which was available to anyone on their website. The result is that few investors now bother to analyse what is happening in the real world. They believe they don’t need to, as the Fed will always be there, watching their backs. So “Bad News is Good News”, because it means the Fed and other Western central banks will immediately print more money to support stock markets. And there is even a new concept, ‘Modern Monetary Theory’ (MMT), to justify what they are doing. The Bank of International Settlements has already warned that Western central banks stimulus lending means that >10% of US/EU firms currently “rely on rolling over loans as their interest bill exceeds their EBIT. They are most likely to fail as liquidity starts to dry up”. 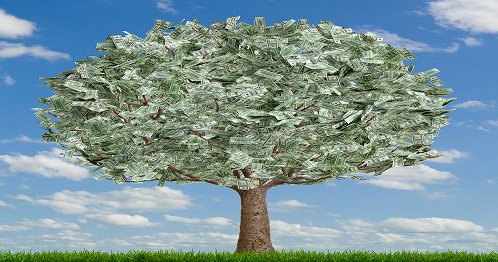 I fear the coming global recession will expose the wishful thinking behind the magic of the central banks’ money trees.